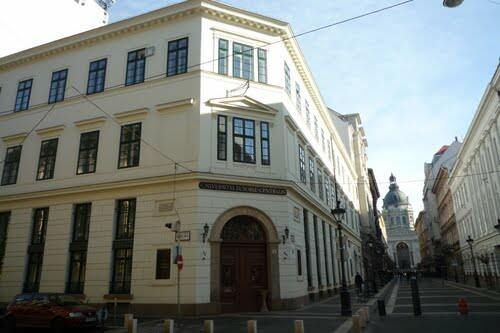 János Bak is Professor Emeritus at the Department of Medieval Studies, Central European University (CEU), in Budapest. He is also one of the General Editors of the Central European Medieval Text Series, which consists of narrative sources on medieval Bohemia, Croatia, Hungary, Poland and their neighboring countries. Each volume contains the Latin (or medieval vernacular) text, and English translation, an introductory essay, annotations and indexes. For more information about this series see the Central European University Press website. The first book came out in 1999, and now with the ‘History of the Bishops of Salona And Split you have four books in this series. Can you tell us a little about these first four books and why do you think they are important for the study of Central Europe in the Middle Ages? The Gesta of Simon of Kéza and the Gesta principum Polonorum were the most influential early histories of their respective countries throughout the Middle Ages and beyond. (The Hungarian Anonymus of ca. 1200 would be also important, but that has been recently published with a German translation, so may be less urgent.) The Autobiography of Charles IV is unique in the sense as it is a personal writing of an important ruler in Central Europe. And Thomas of Split constitutes the first detailed history of Dalmatia (and, partially, of Croatia). Thus these four seemed to be a reasonable start. All of the editions produced so far have been done as collaborations between two or more scholars. This is somewhat unusual, and I was wondering if you have encouraged historians to team up together? Do you see any advantages to this approach? Yes, we at CEU are very much encouraging team-research projects not only in the CEMT series. Besides, necessity also suggested proceeding this way, by bringing together specialists of the region with experts in medieval Latin, who can handle the text (and translation) so to say with a “neutral”eye. Medieval historians, especially graduate students, are becoming more interested in doing research about Central Europe. What would you suggest as possible areas of research? There are too many such areas to specify a few of them. Almost all aspects of history, archaeology and art history can be looked at again, now from a less nationally limited point of view that it has been done in the past. In my own field of interest, studies of social history of both the elites and the subject population, of institutions and legal development (norm vs practice, e.g. in conflict solution), and so on – especially in a comparative manner are desiderata. There are a great number of notions that should be investigated anew, such as clans and kindred, clienteles and other groupings of politically active populations (nobles), violence and peacemaking, inheritance systems, etc. Finally, I was wondering what are the future plans for this series and some of the texts we might be reading soon? Are there particular chronicles or accounts that you would like to see in your series? The Gesta principum Polonorum may appear soon in a second, revised edition. Our most optimistic plans are announced on the rear page of the dust-jacket (e.g of vol. 4). A volume on hagiographic texts is due soon and the Chronicle of Cosmas of Prague may follow in a few years’ time. The publication of the rest depends much on financial support and the success of the published ones. We thank Professor Bak for answering our questions. This interview was conducted in January 2007.